What’s the latest research in your field? 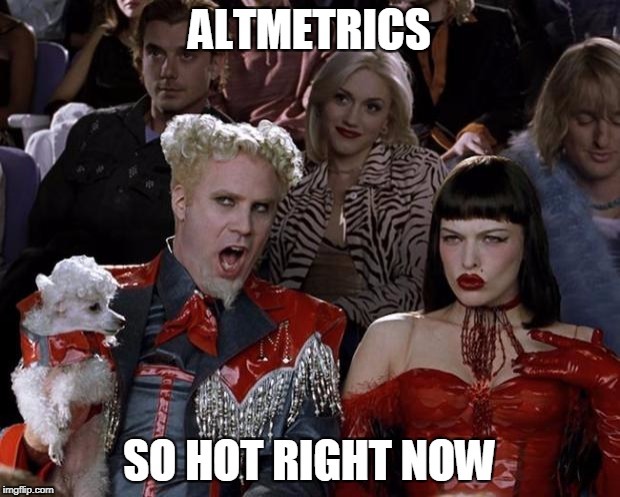 Going to every single journal website every day to find if they’ve published new content, or getting 100 emails a week, is draining. What do researchers never have enough of? Time! Save your time by going to a place where content from across publishers and journals is integrated daily. It’s just common sense. 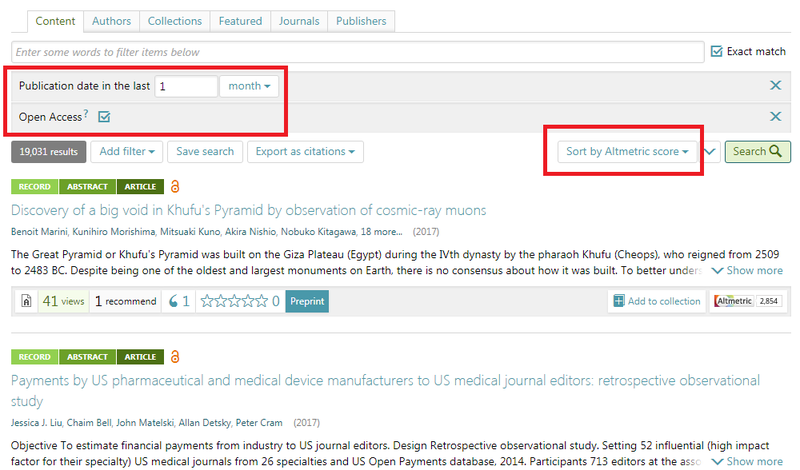 You can set up saved searches too to keep on track of all of your research interests, using our entire range of search filters. Become the architect of your own search, defined by your specific research interests. A great way to get real-time updates as new research is published! Who might find these features useful? Science journalists: Find out what articles are making a social buzz across research disciplines. Editors: Find out for free which articles in your journals are the most frequently cited. Researchers: Find out what articles are most relevant to you and your research community. Students: Orient yourself at the start of a project to discover what research articles are most popular. Teachers: Find out hot topics in different research disciplines to use as the basis for teaching materials. On top of these sort functions, we have a range of filters. These including being able to filter preprints, Open Access research, and by the date it was published or indexed. We combine precision with multi-layered search to optimise your discovery experience, and save you time so that you can get on with the other things you love in life. Next: Next post: Competition time: Submit a review and enter a drawing for an Amazon Kindle Fire tablet!